Residents voted to incorporate Camarillo as a city on September 29, 1964 (the same day that Thousand Oaks residents voted to do the same). Today Camarillo has the 5th largest population out of 10 cities in Ventura County, with about 66,000 residents. One neat feature of Camarillo is its revitalized Old Town on Ventura Boulevard, a one mile stretch adjacent to Highway 101 between Lewis Road and Carmen Drive. There is a mixture of eateries, galleries, salons, boutiques and shopping along the pedestrian friendly thoroughfare that has transformed the area. Parking is free. More at www.facebook.com/camarillooldtown. 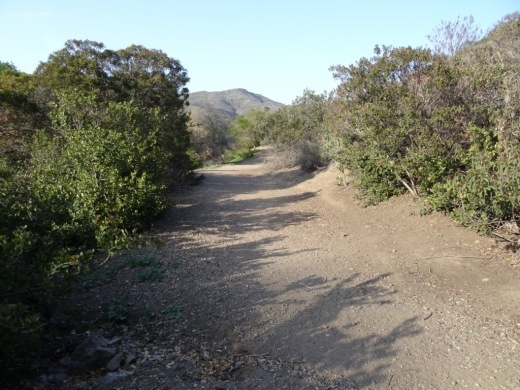 The roughly 2 mile Calleguas Creek Bike Path from Pleasant Valley Fields to the corner of Flynn and Upland Road in Camarillo is a family favorite, providing 4 miles of bicycling round-trip. The path is adjacent to Calleguas Creek with several street under crossings, keeping the path completely free of vehicular traffic. McGrath Family Farm off the Central Avenue 101 offramp grows organic fruits, vegetables and flowers and is open 7 days a week from spring through fall. McGrath also offers farm tours, visits with the farm animals and "pick your own" produce. A quick, healthy and fun stop with the kids. The Commemorative Air Force Southern California Wing Aviation Museum is open Tuesday through Sunday at the Camarillo Airport with hangars devoted to preserving, displaying and flying World War II aircraft. Docents are extremely knowledgeable and eager to share information. This is a Camarillo must-see. Also at the Camarillo Airport is the annual Wings of Camarillo Air Show in the August time frame. This is a weekend display of restored World War II military aircraft in flight, aerobatic, vintage and experimental aircraft displays, classic cars and plenty of family fun. This is one event in Camarillo that you have to see up close at least once. Visit wingsovercamarillo.com for more information. The Camarillo Ranch House is a 3-story, 14 room, 6,000 square foot Victorian home built by Adolfo Camarillo in 1892. The City restored the beautiful home to what it looked like during the 1914 to 1930 time frame. Today the house is a popular event venue and is open for docent-led tours several days a week. The Camarillo Ranch was added to the National Register of Historic Places in 2003. The Camarillo Ranch House is a popular wedding and other special events destination. I'm amazed at how few of the people I talk to have heard of the Western Foundation of Vertebrate Zoology, more popularly known as the Camarillo Bird Museum. The 22,000 sq ft non-descript facility in an industrial office park hosts a collection of over 250,000 sets of bird eggs representing approximately 4,000 species; 18,000 nests and 56,000 bird study skins. The Museum is open for tours less than a dozen times per year and is a local "you have to see it to believe it" collection. The Camarillo Premium Outlets is Ventura County's premiere outlet mall, featuring over 160 shops and eateries. As a local, my preference is to visit the Outlets during weekdays due to their extraordinary popularity (hint: crowds) on the weekends, but weekends are fun too. On the east side are the original outlets, including the Main Court and Fashion Court, while on the west is the newer The Promenade section. In between is the Edwards Camarillo Palace 12, another of my favorite places to be in Camarillo. Harley's Camarillo Bowl is the go-to spot for most kids that I know in the Conejo Valley who throw bowling birthday parties. I know because when the kids go bowling, I make sure to join them. Harley's gets the job done with 20 lanes, a small arcade, and a bar that serves up cold beer (a required feature for me to take my mind off how lousy I bowl). There are dozens of great farmers' markets around Ventura County, including the Saturday morning Camarillo Certified Farmers Market in Old Town Camarillo from 8am to noon. There are a number of nicely appointed parks of all shapes and sizes in Camarillo, including six larger parks. One of my favorites is the hidden away Camarillo Grove Park at the bottom of the Conejo Grade. It is not the largest park or have newest playground equipment, but what it does have is several miles of hiking trails and a dog park that makes it a fun destination for many. The Pleasant Valley Historical Museum is dedicated to the preservation of local history and the adjoining Charles L. Honn Botanical Garden features plants and trees indigenous to the Pleasant Valley and the surrounding region. Both are fun, short, worthwhile visits, which is good because the Museum and Garden are only open from noon to 4:00 p.m. on Saturday and Sunday, except holidays. Admission is free.